A privilege that I have been granted lately is the opportunity to meet lots of new people. I’ve earned the stripes that make me fairly comfortable being the new kid, or at least as comfortable as an introvert can appear to be. It has taken me months to write this down, so thank you for joining with me in this conversation. There is a deep resonant tone in my heart that urges me to be vulnerable and have important conversations rather than brief superficial ones. Knowing one another still matters, and is the antidote to most of the ills of our community. I pray that together these words will lift us toward unity, and as I practice vulnerability that you join me in gracious conversation. Now about my home…. How long do you think it takes, on average, during conversation for people to ask me “so where do you call home?” For those of you who know my journey, you know I’ve been a lot of places and seen lots of things. I was a Texan without a southern drawl, a Vermonter without the long heritage, a product of the mid-west with no union workers in my family, and now I live in the Pacific Northwest. Prayerfully, this summer we will be in Zimbabwe and will stay as long as they will have us. So, where is home? I try not to read into the honest inquiry of where I’m from, but that kind of question has a way of evoking from me a sort of elusive response, even if unintentional. Honestly, I’ve been frustrated with this question and I know that my answer is seldom found to be a satisfactory way to get to know a guy like me. I’m disappointed that I don’t have a good answer to such an easy question. When asked “So, where is home?”, know that I hear in my mind, “So, to whom do you belong?” and “So, what group do you fit into?” That really is the question, isn’t it? Isn’t this just an attempt to use past experience or associations of our own to fast forward the messy work of relationship and the grind of finding our own common ground with each other? The novelist Chimamanda Adichie teaches us that, we have a unique desire to create a single story about the kinds of people that come from other places. We create in our mind a single story or version about their preferences, relationships, daily life and world view to make it easier on us and to avoid having to work at getting to know people. For example, and simplicity, we think all people from New York City are fast talkers and rude, and everyone from Texas wears a cowboy hat and rides a horse. Of course, we know this is nonsense, and in no way, can we reduce millions of people to these common denominators, but this is how stereotypes are built, and walls erected that keep one another at bay. Currently, the single story is being thrown around with danger in our government is that immigrants are bad, and Africa and Haiti are the worst places in the world. The danger in allowing ourselves to have this single-story approach completely undermines our humanity. “So, where are you from?”. “Well, I was born in Ft Wayne, Indiana.” What invariably comes next is a quick fumbling through the mental archives…. uh…. Ft. Wayne……uhh…. Indiana……uhh…. lot of snow there, right? True in my experience as well, Ft. Wayne is completely forgettable, and I couldn’t recall anything of my own experience that was important about Ft. Wayne either. It is just where I was born, and there is no single story about places like Ft. Wayne, Indiana. My father was in bible college, working in a hospital, and pastoring a small congregation when I was born in the spring of 1978. My recollection of that place is recreated through pictures that have earned their sepia tint and from stories told me by my parents. Am I from Ft. Wayne? Or maybe I should claim the suburbs of Cleveland, Ohio as the place I’m from. The first friends I can remember having are from a little town near Sandusky, Ohio called Vermillion. Honestly, it has now become so romanticized in my memory that I laugh at myself about how much I conflate that time. I remember Vermillion as if it were Mayberry from the Andy Griffith show. Eight years old riding a BMX big with tall sock and mesh crop top shirt that had the word RAD in big white letters. It was warm in the summer, but not hot, and in the winter, all bundled up like Ralphie from A Christmas Story (which was set in Cleveland), we had enough snow to build snow forts. To an eight-year-old the summers felt like freedom and all winter the magic of the Christmas season seemed to linger. We lived in a parsonage that was directly across from the elementary school I attended. After school, I would ride my BMX bike over the railroad tracks to Lawson’s for pop and when I had spare change in my pocket, a real treat of soda scented erasers and stickers from the check-out counter. The local weather man visited each summer during the Wooly Bear Festival, and threw candy from a float in the parade. It was on the concrete steps of that parsonage that my mother lead me to the Lord and I accepted Jesus as my savior. I was in the third grade and my parents were in their late twenties when we moved from Vermillion. They broke the news to us kids over roast beef sandwiches and all – you- can- eat salad bar. "After school, I would ride my BMX bike over the railroad tracks to Lawson’s for pop and when I had spare change in my pocket, a real treat of soda scented erasers and stickers from the check-out counter." In Willoughby Hills Ohio, my brother and I had our first taste of what it really meant to be the sons of a pastor. I remember fondly my mom and dad volunteering at the City Mission that fed and housed homeless men. Before meals the men were required to hear a volunteer preacher, and my dad would offer his services and sometimes Doug’s and mine as well. We used to set up a puppet stage with PVC pipes and a curtain, mom pushed play on the cassette player and with puppets on each hand my brother and I would mouth the words to Christian music with puppets. The rest of my childhood kept a similar trajectory. So much of it seems so funny to me, but almost always it involved my family caring for and living life with others. Christmas and Thanksgiving dinners were always in the fellowship hall of the church with roasters full of ham and mashed potatoes. My parents always invited those who were alone, or who simply just wanted to be with others during the holidays, to the church to share holiday meals. My mother did most of the cooking for those that would gather during these times. Our holidays were spent with the elderly, the recently divorced or separated, the widowed, lonely, or disconnected. At the time, I didn’t know how special that was. Most of my young teen years I’m sure I didn’t like it at all, and preferred to act like a smug and busy teen instead. Doug and I would be instructed to haul out and set up the long tables and metal folding chairs, set individual places around the tables, and then relent to having our cheeks pinched by old ladies. It felt like work to a young teenager, but now, to a thirty nine year old it feels a lot like the origin of my love of community. I learned to drive stick in the parking lot of that church in an $800 1988 Mercury Lynx, which had originally been red, but had beautifully morphed to a color I can only describe as Formerly Red. I played AAU basketball in high school, washed dishes at the hospital after school, and went to the YMCA before school to lift weights. I didn’t feel exceptional, but I also didn’t feel “normal” either. Not just because of puppet show and old cars, but also because my family was different. 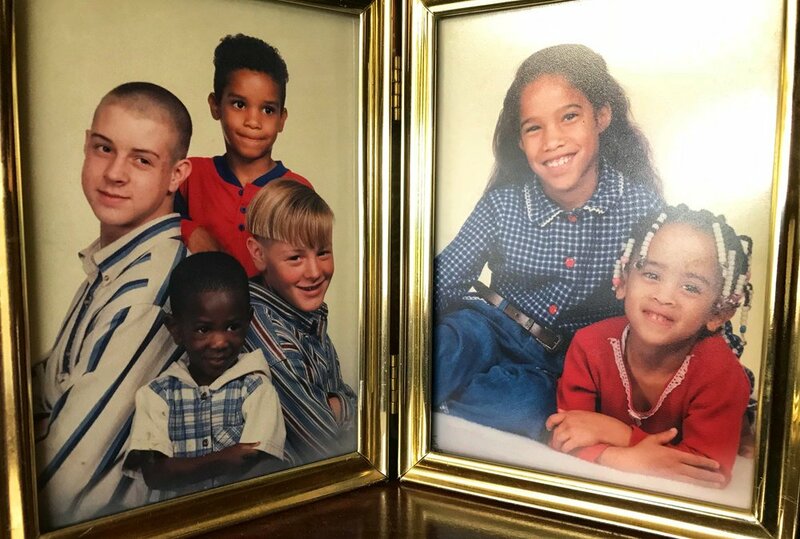 The Smith family has been a foster and adoptive family since I was seven or eight years old. I don’t remember just how many children we actually fostered in the parsonage there, but the number isn’t really the point. My parents were unique in that they specialized in respite and special needs children. What that means is that my parents welcomed children that had medical issues requiring extensive care. Children who had suffered severe physical, emotional or sexual abuse were welcomed and loved in our home. Mom and Dad would get calls in the middle of the night from social workers who had kids sleeping on the floor of their office, and Mom and Dad would take them in and make them a member of the family. To accommodate our family, my mother drove a 15 passenger white van, and we put car seats as far back as we needed. Every foster kid, displaced kid, and homeless kid carries the same luggage. It is one of the triggers that still makes me cry. Just a few months ago I was at Parks Youth Ranch in Needville, Texas and saw them again and needed to step away from the conversation to compose myself. Kids in distress always arrive with black garbage bags. Contained in those black garbage bags is their whole world. It is what you pack in when you are in a hurry, poor, and don’t want to attract unwanted attention. It’s imagery that I cannot shake, and some of the people I love the most owned that luggage. Now imagine this 15 passenger van dropping of fifteen year old Geoff outside of a predominantly anglo- suburban middle school. The van looked like the United Nations shuttle. There were black, bi- racial, white, Jewish, Arab, and Hispanic kids in there at any given time. I never noticed or felt any different about their races because we didn’t feel any different from them economically, and certainly not spiritually. My mom shopped at the dented- can store, and cooked for an army every day. I wore hand- me- downs all the way through junior high, and was on reduced cost lunch program at school. My family didn’t hide behind our station on the socio-economic scale when it came to loving children. I felt close to them, and frankly, saw myself as simply one of the tribe that extended way beyond our home. "It’s imagery that I cannot shake, and some of the people I love the most owned that luggage." Shattering my naiveté, it became harder to feel close to my parents and to the foster and adopted brothers and sisters when I became aware, or better yet woke, to the sting of our difference. I remember the glare my mom would get from other women in the grocery store as we would pass with a black baby in the cart and bi - racial children holding my hands as we toddled behind. Their assumptions about my family were written all over their faces. There were a few times we ate out as a family, and when we did we’d have to ask for a table for seven with two high chairs. It didn’t take long to hear the loud stare of the people around us who, up to this point had been eating in silence. To process the weight of all the love and good there is in showing compassion to others, even from a position of humility, juxtaposed against just how much attention and scrutiny it invites, was impossible to sort through as a teenager. I discovered that I was uncomfortable with the racial biases that swam around me. I was angry that people were suspicious of the poor, which included me. I was resentful that people were so quick to judge and make assumptions about others. I was woke. Is my home Willoughby Hills, Ohio? I met Renee at Church in Rutland, Vermont one cold New England day. She wore Mary Jane’s, a pencil skirt, and a red cardigan. Her hair was just off her shoulders and curly. She sang like an angel, was reserved, proper, and all smiles. She seemed beyond my reach from the day I met her. I thought a girl like that would never be interested in a guy like me, and I built a wall as fast as I could to keep her out of my mind. Soon, her dad and I became natural and easy friends. We had breakfast together from time to time at the Midway Diner, and hunted together on their property. It was his idea that Renee and I begin dating, which we did very briefly. I was so envious of Renee’s family. Renee is the 14th generation from that area of Vermont. Most of her family on her father’s side live nearby and was lucky enough to grow up with her grandmother and grandfather in the same town. To me this was an upbringing even more romantic than Vermillion. Even the family disagreements seemed kitschy to me and frankly I was foreign to it. Eight months later we were married in the meadow next to her parents’ home. Layla and Seamus were both born in Vermont and partly anchor our hearts there. Under my dad’s leadership the church flourished, and Renee and I were proud to help in any way needed. We felt honored to have played a role in the community that became that church, and honestly, Rutland deepened my commitment to community, and to the noble effort to know people with a deepness that requires vulnerability. I went to nursing school in Vermont, and had a generous education as a baby ER nurse in that small community hospital. Vermont was a blessing, and set my sights higher than ever before. I desired to cultivate the traits I admired about my father- in- law. I wanted a legacy, a big faith, and the ability to see past myself. He lifted my head up and made me a part of his family’s future and legacy. Vermont makes my heart sing and feels like my spiritual home. However, I left Vermont still very much an immature young man with very little experience in leading a family, and no knowledge of how to inspire others. Precious time was spent in the woods with our family. It was beyond my wildest dreams that the Houston Chronicle would help tell our story. We moved to Houston, Texas when Seamus was six months old. My father- in- law and I packed up a Ryder Truck and together we drove our belongings to a small apartment Renee and I had rented online, sight unseen. Of course, it was a less than desirable location, but we made it work, and settled into the process of learning to be from Houston. My young family and I moved to Houston to pursue many big dreams, and gratefully all came to fruition. We had a desire to help plant churches with my parents, wanted to be a one- income family, which was possible in Houston, and we liked the adventure. Renee and I bought a small home in the suburbs, and tried our best to live the American Dream. It didn’t take too long for me to feel itchy there. My family and I were going rapidly and steadily in two very different directions. I was working 60-72 hours a week and passing by my family only at odd hours of the day. I missed Renee, and my kids were growing so fast. Is this what life is all about? Is this what I was created to do? I was learning and perfecting the art of being a consumer, and it made me feel trapped. I felt such frustration, and was going round and round on a hamster wheel of which I wasn’t sure how to get off. Then BAM! Providence arrived in the form of the biggest scare of our lives. Seamus was diagnosed with a life threatening peanut allergy after breaking out in hives from eating a jelly sandwich tainted with peanut butter. Our world turned upside down, and eventually led to the creation of The Barry Farm, which would be anyone’s logical conclusion, right? Son has a peanut allergy so obviously one needs to start a farm. The Barry Farm is where I first had a chance to see myself for who I am, and who I was created to be. I pulled the pieces of a new me together that had been divinely shaped by my past, and I had crafted an important idea. I took the empathy of the fellowship hall holiday dinners, mashed it with the freedom of a rad crop - top mesh shirt, slammed it into a strong back to stand up to prejudice, and married it to an unquenchable pride in family, and called it a farm. And all of these lessons I learned and earned from the church. As best-selling author and University of Houston professor Brene Brown writes in Braving the Wilderness “true belonging doesn’t require you to change who you are, it requires you to BE who you are.” While in Houston, I discovered the me that was not yet formed, and that I was created in the image of the Living God. Six months after I realized this, we sold everything we owned, including the farm. Renee, the kids and I are very proud of all that the farm had become. The amount of effort and sacrifice it took to make The Barry Farm the success that it was, is truly indescribable. We know without a doubt that our work was beautiful, meaningful, and had gravitas. During our time as the farmers of The Barry Farm, our family became tightly woven. Our lives are forever changed because we have come to embrace the need in us to only do work that is important and meaningful, and to stop spending so much energy and effort on things that simply just do not matter. Every day we were involved in the smallness and immersed in the bigness of our mission. But as we came to realize, our farm at its peak transitioned from being an authentic representation of our values to becoming a tribute to the Author and Creator of us. I realize now I was called and lead to create a living breathing tribute of just what He is creating in me. 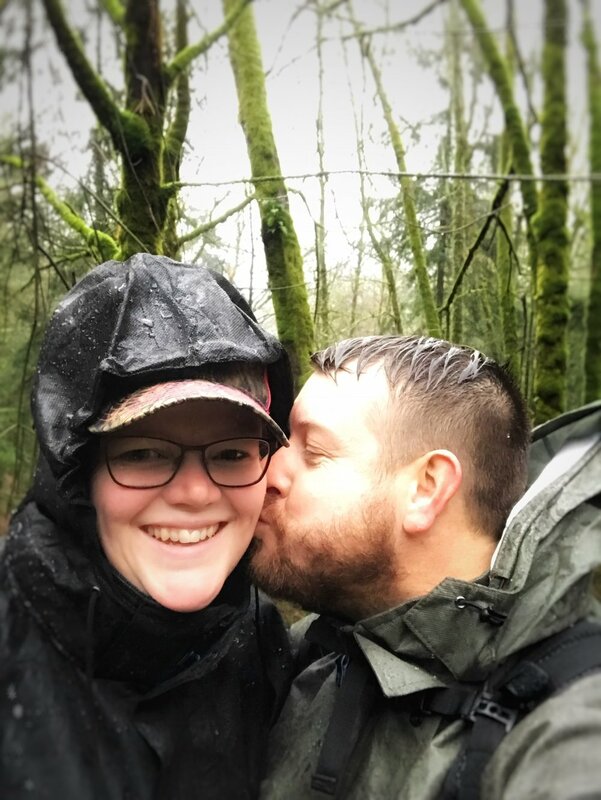 We began to purposefully and willfully strive to hone our lives and farm choices to be more like Jesus, and less and less like Renee and Geoffrey. And when that lesson was learned he called us to let it go. So, we began in earnest our journey to take that life lesson and go with Him to Africa. Currently our journey means we live in Renton, Washington near Seattle. We live with family again as we save and prepare for launch to Zimbabwe. Renton has embraced us like long- lost family, and it feels both safe and familiar. It feels like the kind of place where roasters with ham and potatoes are welcomed and generations remember what it means to discover themselves. I am eternally grateful for the compassion and perseverance of Valley Church, and we are elated to be joined together with them on this journey. Will Renton be my home? taken on the ferry on a cold winter night. Author and speaker Taiye Selasi gave a TED talk entitled Don’t ask me where I’m from, ask me where I’m a local. She eloquently teaches us to see others as a culmination of their experiences, relationships, and boundaries, and to let go of the useless language of location. Well of course she is correct. Where am I from? Where is my identity? Renee and I have broken the barrier of being confined by location, and have instead chosen to be defined by destination. I refuse to accept the baggage of where I’m from but have chosen to embrace the calling to where we are headed. In the process, know me first of all as child of Jesus Christ. Then and only then, see me as a lover of justice, a father to those that need one, a lover of Renee, an advocate for women, a student of elder men and women, and a friend to the next generation. See me as a man that sees us as having a whole lot in common and worth sharing our lives with one another. See me as a man that is obedient even when I can’t see the plan unfolded. See me as willing to dream way beyond what I am capable of in my own strength. The famous missionary Elizabeth Elliot knows where I belong. She said it this way, “is the distinction between living for Christ and dying for him all that different?” You see, all the talk about where I’m from has been a wonderful trip down the first thirty nine years of me. But just like the farm was a tribute, the rest of my days will be a tribute to the One who created me with love to be this way. My hopes, dreams, disappointments, failures, successes, broken heartedness, and joys have been crafted for this. To say I was made to be a missionary is an understatement. I crave a life both formed and informed by divine love, to paraphrase the author Alan Hirsch. The missionaries of the previous generations were so uniquely focused on Heaven that they earned the term “one way missionaries”. They would board ships with all their belongings packed in wooden coffins, and had no intention of returning. They weren’t one way as in a ticket to their new country; they were one way to their final destination. Never would they consider living a life that was less than all-in to tell those who have never heard that there is a God that loves them so much that He was willing to die for them, and that same God desires a living and active relationship with them. One way in obedience. One way in example. One way in and on purpose. One way in tribute. Missionaries get this burning call from the One who first lived this way, Jesus himself. Starting with the Christmas story, He came one way to teach us, then suffer and die for us, rose from the grave, and ascended into Heaven. He did all that to make that one way. How could I do anything other than obey His instruction to tell His story and be His example? I write this to you knowing that my vulnerability, and yours as well, makes the world a more honest place to live. The reason I write this is that you might know me better, and that through me you may see the One who created me this way. He loves us with persistence, and is working on and for us daily, and my life is worth the living for it. I anticipate His grace, and we are praying for a Summer time departure to Zimbabwe. As we adopt a new layer into our evolving identity, please don’t give up praying for The Smith family. Just as you’ve read, life unfolds in lots of unforeseen ways. I have the perspective of a thirty-nine-year-old, but Layla and Seamus don’t have that blessing yet. They have pressures they are not used to just yet. Please prop them up with prayer. We have been given the green light to submit our visa application, which is a giant step forward. There is no guarantee we will get approval from the government of Zimbabwe, but we are optimistic, as there have been so many positive changes in the preceding months. Our most pressing issue still remains funding. We have steadily gained support, and nearing the 40% mark, but our time is short. Our family needs to be at 60% by May, and 100% by July. If you have been considering supporting us monthly, but have been holding off, now is the time. Renee and I really cannot do this without you being in our corner rooting for us, praying for the kids and us, and yes, giving to our mission. We have been praying for each of you that you will one day visit us in Zimbabwe, and see for yourself the joy of learning “where I am local”.